It may seem odd to a younger generation today, but there was a time when many families would drive to see a movie…and remain in their cars! These places, called drive-in movie theaters, or drive-ins for short, provided inexpensive entertainment for large families with an opportunity to pack your own snacks and goodies. For young couples in love, drive-ins were often a slice of heaven. 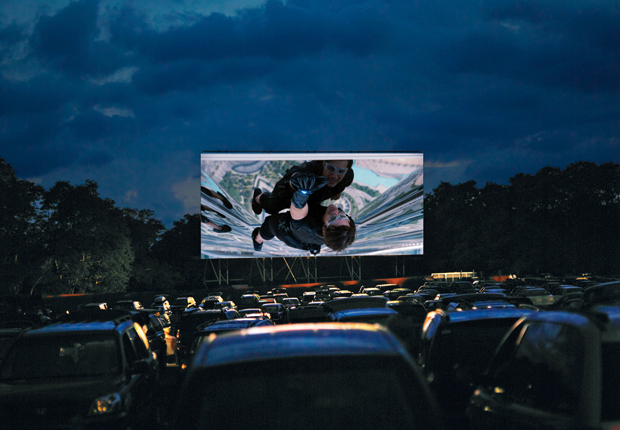 If you’ve never experienced one, drive-ins featured giant white outdoor screens, and a refreshment stand that usually included the projection booth. This all was in a fenced-in area you would pay to gain entrance to. In the early days, speakers from the screen blasted audio to the cars. By the forties, removable wired speakers mounted on poles between rows of cars provided audio. Wireless technology made speakers obsolete in the late sixties as movie soundtracks were broadcast via radio directly to the cars on a designated AM or FM signal. 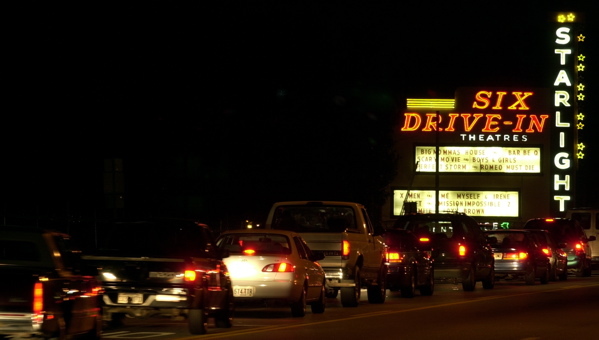 Most drive-ins offered double-features, with the first movie often shown once again after the first two. Many also provided playgrounds for early arrivals with kids. 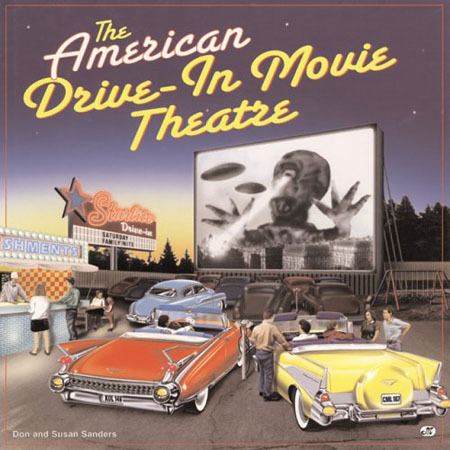 Drive-ins were an American staple, especially in rural areas. As real estate prices rose and traditional theaters became more comfortable, drive-ins began to disappear from the landscape. Today, there are still drive-ins peppered across the country, but you will have to look a bit harder to find them. 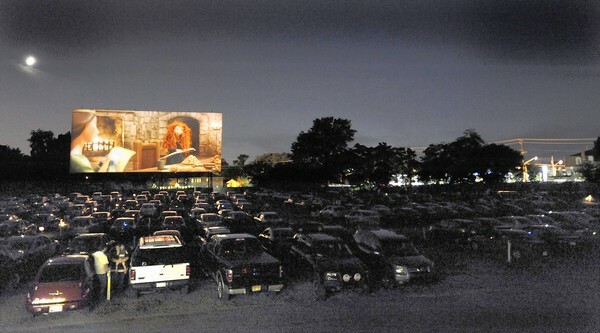 At one point, drive-ins accounted for about 25% of the nation’s movie screens. Today they make up about only 1.5%, so it may take a road trip to experience one. Here are some that are worth traveling to. 1. Bengie’s – Baltimore, Maryland. Bengie’s has a giant 52’x120’ screen and a history that goes back 50 years. They still play vintage drive-in promotional trailers and on Memorial Day and Labor Day Weekends they play movies all night in their famous “dusk to dawn” events. 2. West Wind Salano Twin – Concord, California. Two 96 foot screens, palm trees and Mexican leaning refreshments make the West Wind Salano Drive-in unique and a must-see. West Wind Salano Twin – Concord, California. 3. Starlight Six – Atlanta, Georgia. This is a Drive-in experience on steroids. People bring grills, coolers and turn this hilltop drive-in into a tailgating experience. Their Labor Day Weekend “Drive In-Vasion” includes live music, a car show and all night classic B-movies. Awesome! Starlight Six – Atlanta, Georgia. 4. Big Sky Drive-In – Midland, Texas. This is the country’s first all-digital drive-in movie theater and they make the most of it by showing live football games on the big screen! A high-tech version of an old school tradition. 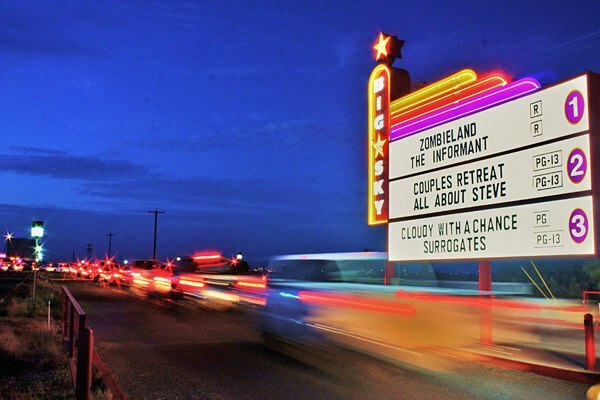 Big Sky Drive-In – Midland, Texas. 5. Ft. Lauderdale Swap Shop/Drive-In – Fort Lauderdale, Florida. 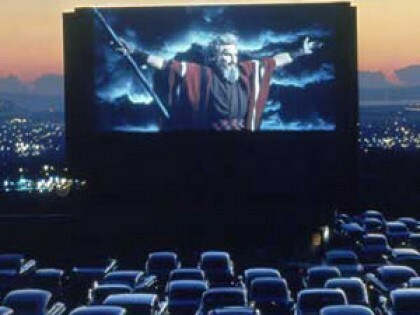 A whopping 14 screens make it the world’s largest drive-in that also serves as a giant flea market during the day. These are definitely five outdoor drive-in movie theaters in various regions of the country worth making a weekend road-trip to visit. Enjoy your trip and drive safely!